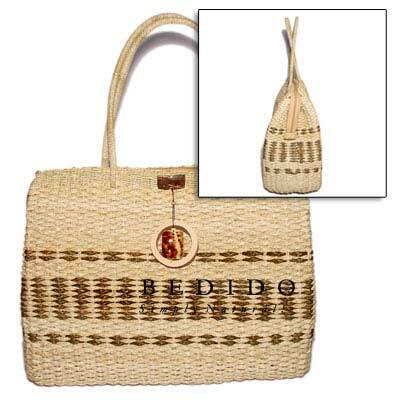 Natural Shell Fashion Pandan Indo Braided With Zipper/ 17x6 1/2x 13 In. / Handle 9 In. W/ Dangling Brown.bleach Coco Ring & Cowrie Tiger Shell Native Bags - Widest collection of handmade body jewelry we also have unique decorative shell, wood and coconut handicrafts.